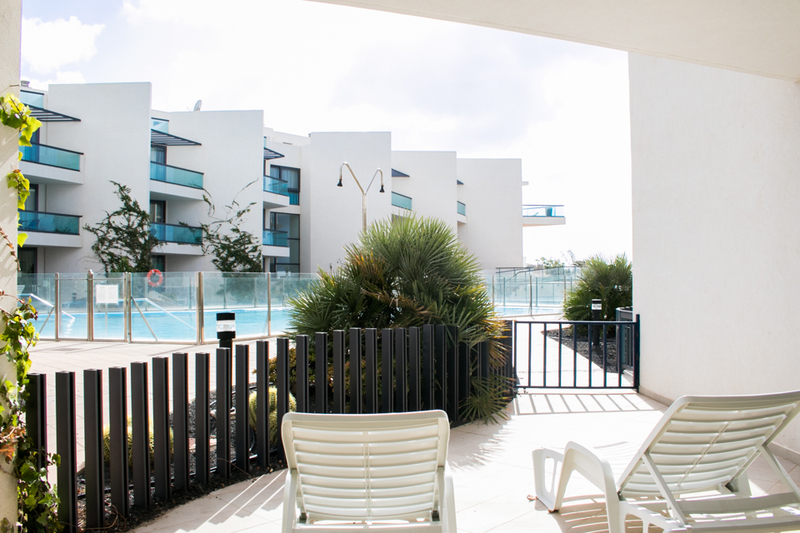 Surf camp with swimming pool, central location in El Cotillo, close to beautiful beaches and great waves, nightlife and great weather all year round. 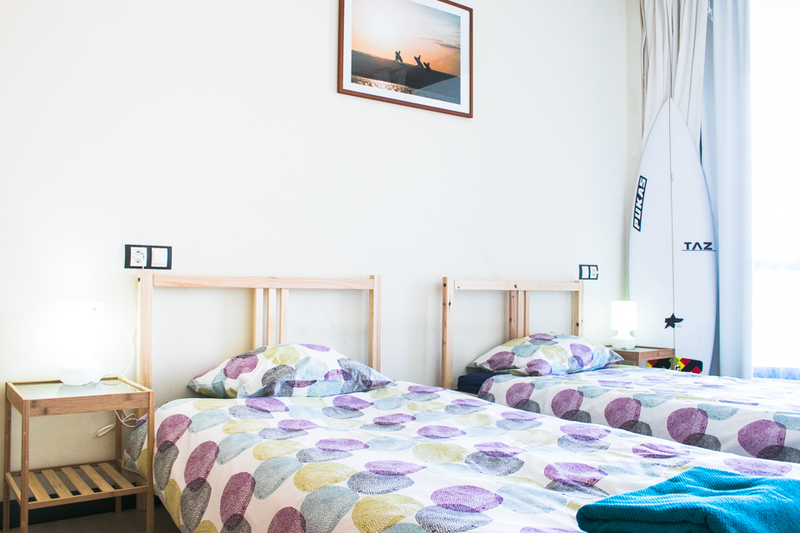 Fuerteventura Surf Camp & Surf School has easy access to more than 30 surf spots in 3 different coasts! It’s a central location close to some of the best waves for all surfing levels. 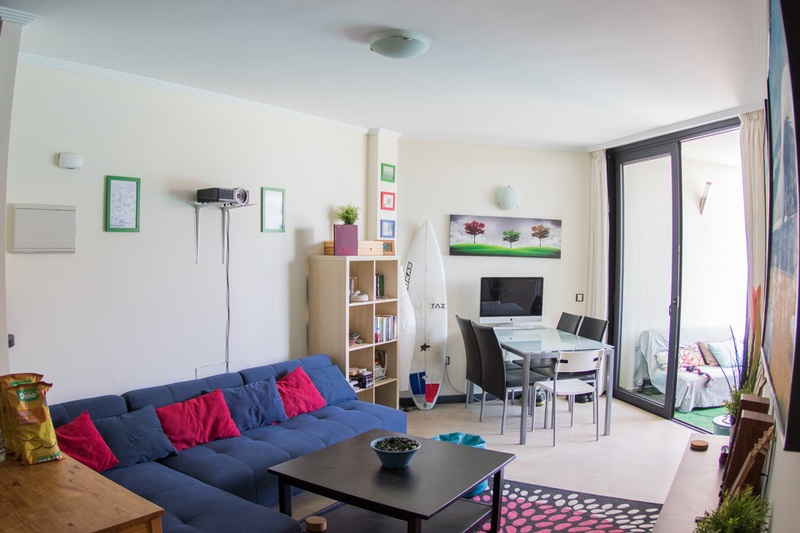 Excellent choice for surfing holidays and partying in the Canary Islands! 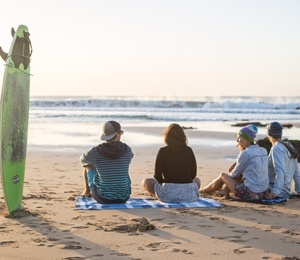 In Low Cost pack, the surf equipment is included ONLY during lessons! 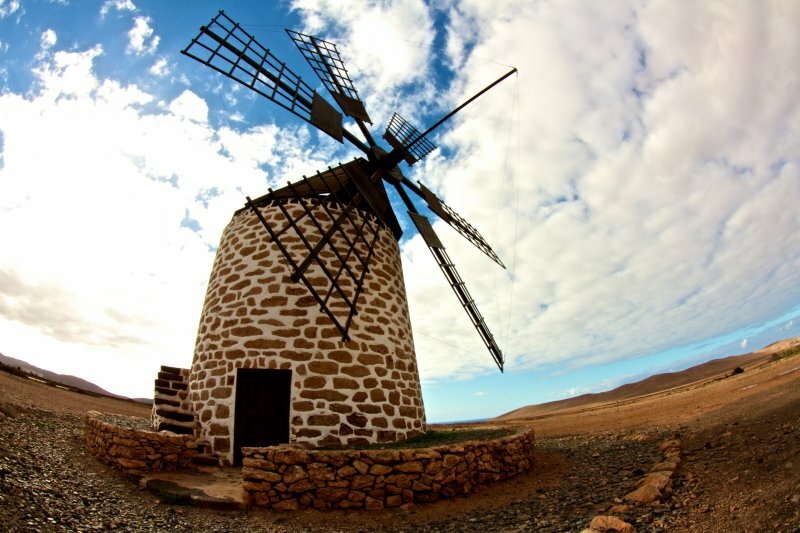 Fuerteventura is located just 100 kilometres off the coast of Africa and has the longest beaches in the archipelago. The island is known as a destination for sun, beach and watersports of all kinds. Surfing arrived in the 70’s but only became a major attraction in the 1990s. Nowadays it’s on European surfer travelling list! Perfect waves all year round and several daily low cost flights from all across Europe make it a very requested surf destination. Many surfers call it the European Hawaii due to several similarities in geography, bathymetry and weather, producing top quality waves. The Canary Islands' breaks are famed for being shallow, heavy and hollow but plenty more relaxed beach breaks do exist all across the island. 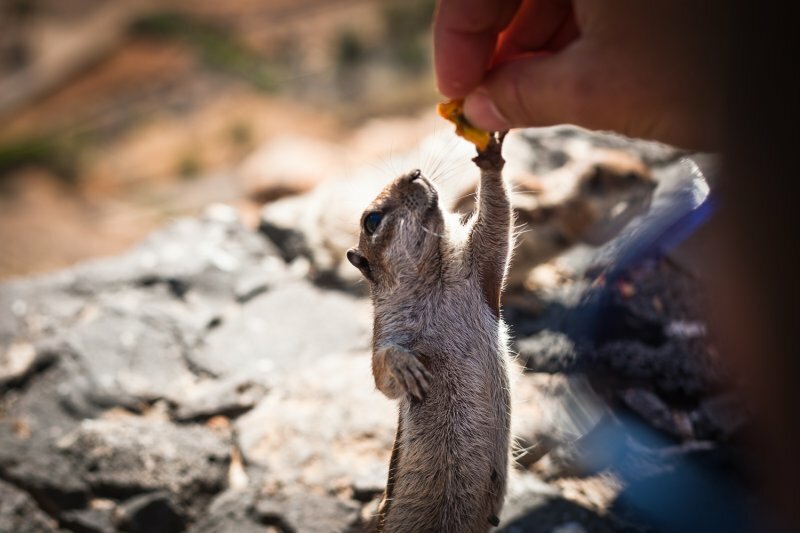 Summer can get surprisingly big in Fuerteventura. There are high quality waves all around the island for all levels of surfing. 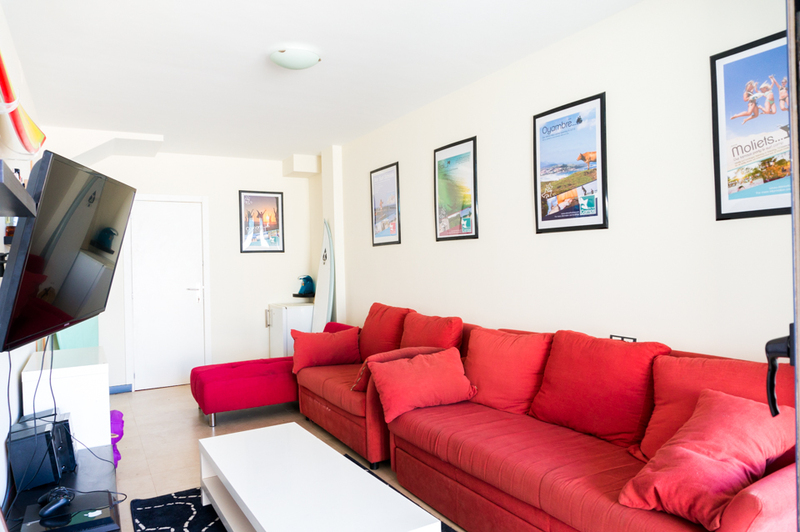 The surf camp is located in the north part of the island within a 10 minutes drive from some of the best spots like El Cotillo beach, Flagbeach or Del Morro. The surf conditions are well good for beginners and intermediate surfer during the whole year however the waves get bigger during the winter months. Most waves around the island are reef breaks but we choose to go only to beach breaks or easy reef breaks with our beginner surfers. 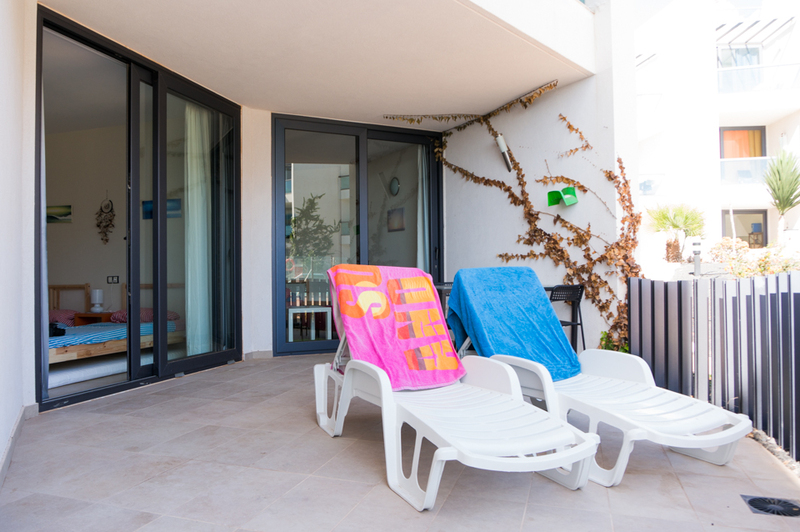 This is one of the most comfortable surf camps in Canary Islands with swimming pool and plenty of facilities, outdoor areas and the atmosphere is everywhere. 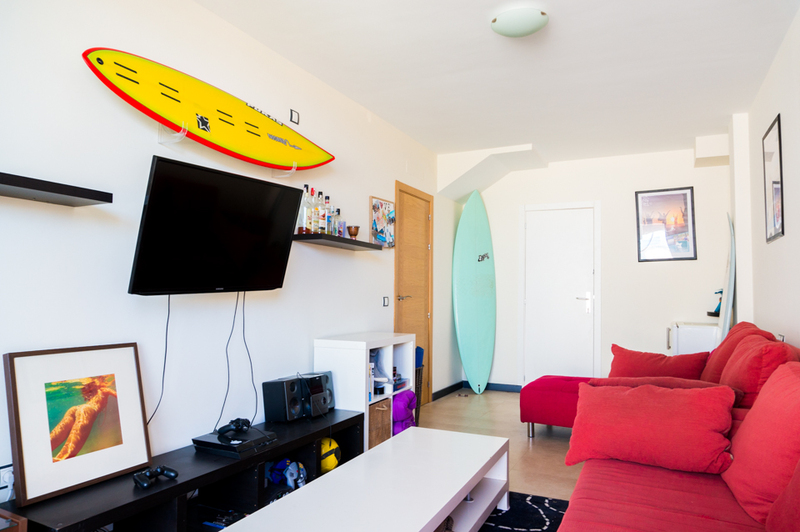 At Fuerteventura Surf Camp you’ll get everything you need for perfect surf holidays among friends. 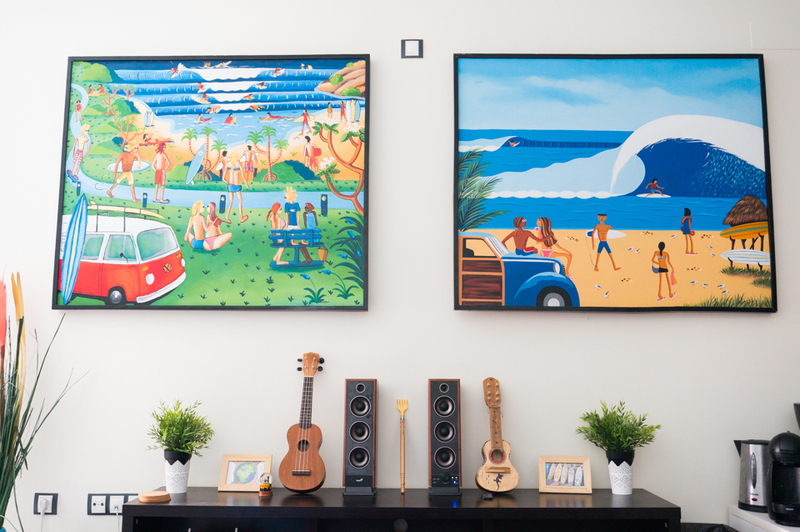 Our beautiful surf house creates a relaxing atmosphere for all of our guests. 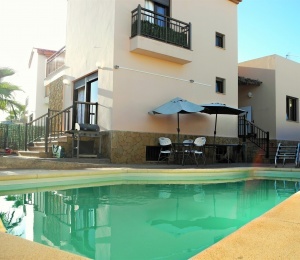 This surf house has 5 bedrooms and 4 bathrooms and is set on a beach front location right in the heart of Fuerteventura’s surfing scene. 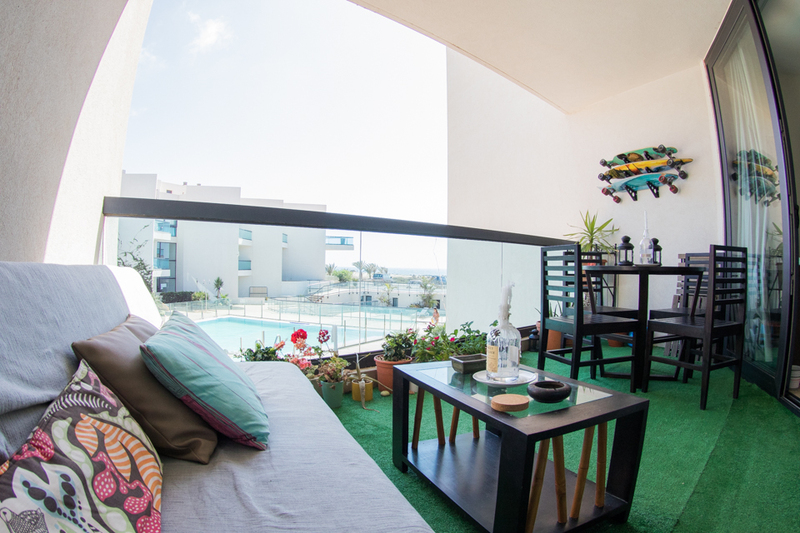 From the living room you can see the ocean, the island Lobos, Lanzarote and the North Track. 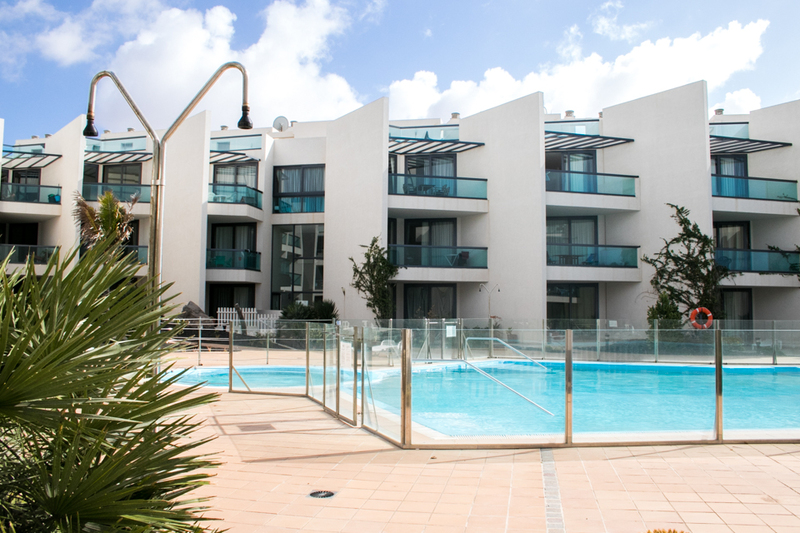 The outdoor terrace, the sun lounges, the pool and the hammock gives you plenty of spots to relax and enjoy your holiday. 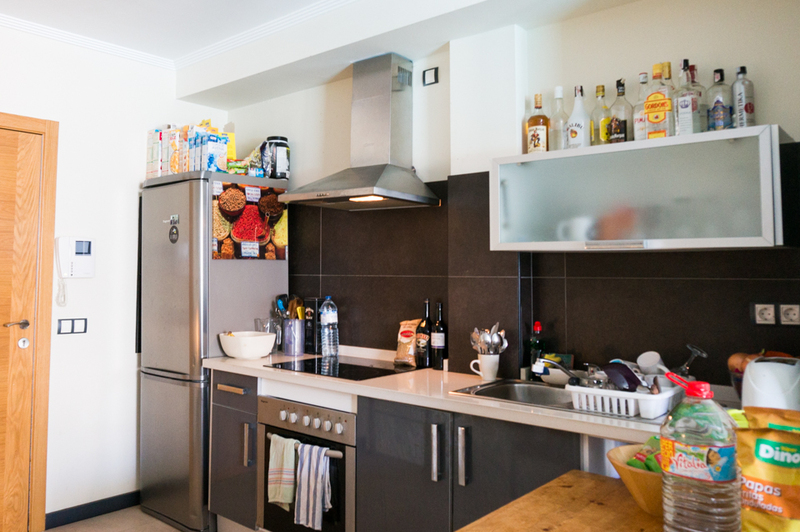 We offer different type of rooms and surf package options in order to suit everyone's needs. 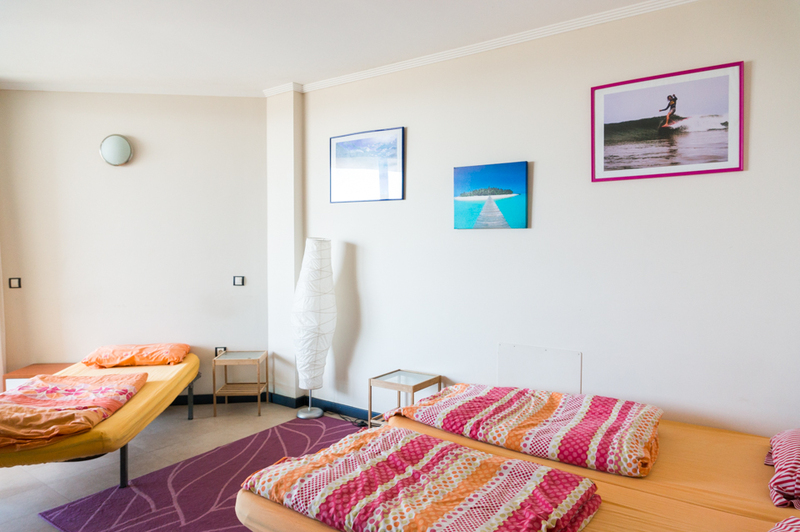 For families, solo travellers and those travelling on a budget, shared rooms are the best option with single beds up to 4-6 travelers. 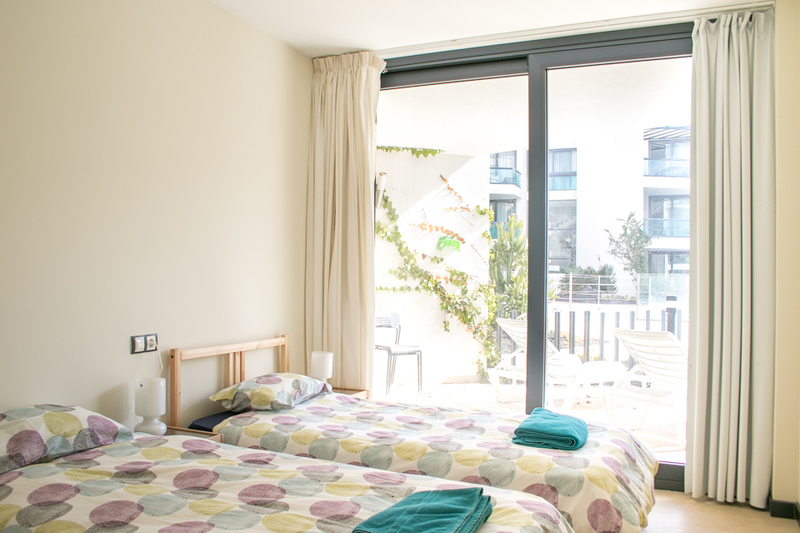 But if you're looking for more comfort than we suggest to book a private bedroom, double or twin for 2 people. We provide linen and bathroom towels. 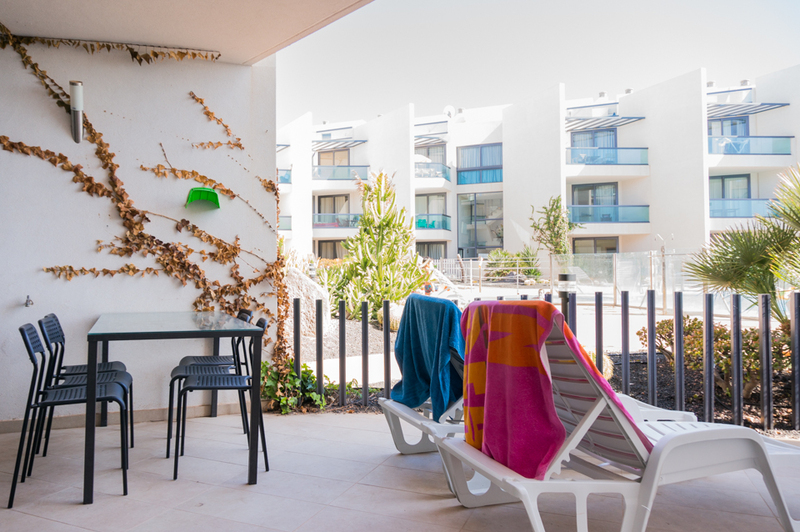 The surf house has 2 balconies, 2 sun terraces, swimming pool, open-plan living, fully-equipped kitchen where you can prepare light meals with your friends and other guests. You can be sportive as well: we have Yoga equipment, balance boards, bikes, beach games and the Nintendo Wii for you. 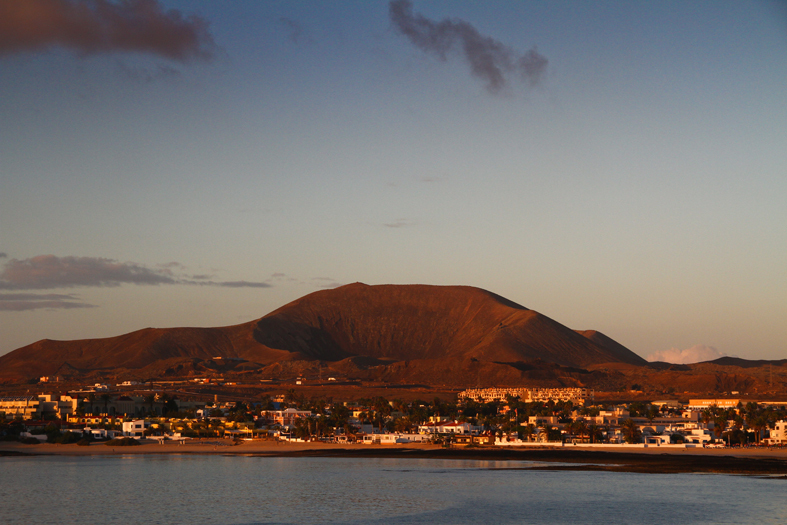 Fuerteventura is a volcanic Island surrounded by beautiful beaches of every kind. 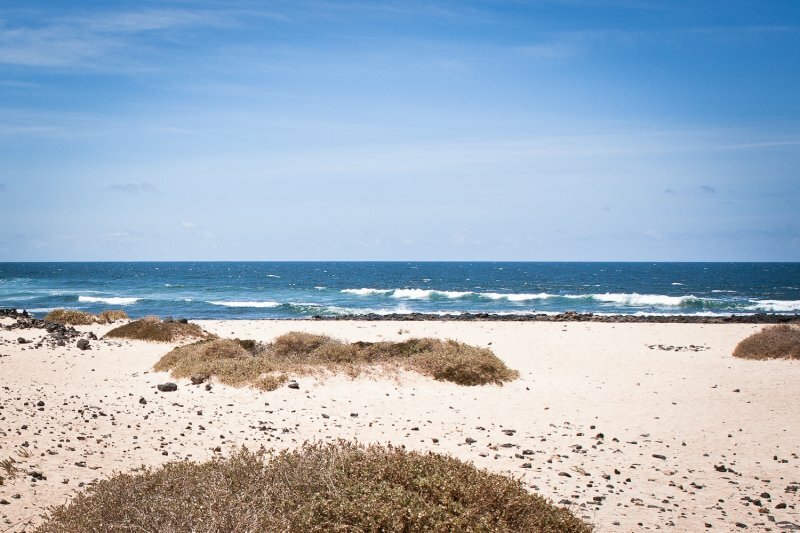 The north part of the island close to Corralejo have white sand dunes to walk on or enjoy the view. Around the area of El Cotillo there are lagoons and the whole island benefits from its crystal clear, turquoise water. The fishermen village El Cotillo is famous for its fresh fish restaurants and nice tapas places directly at the water. 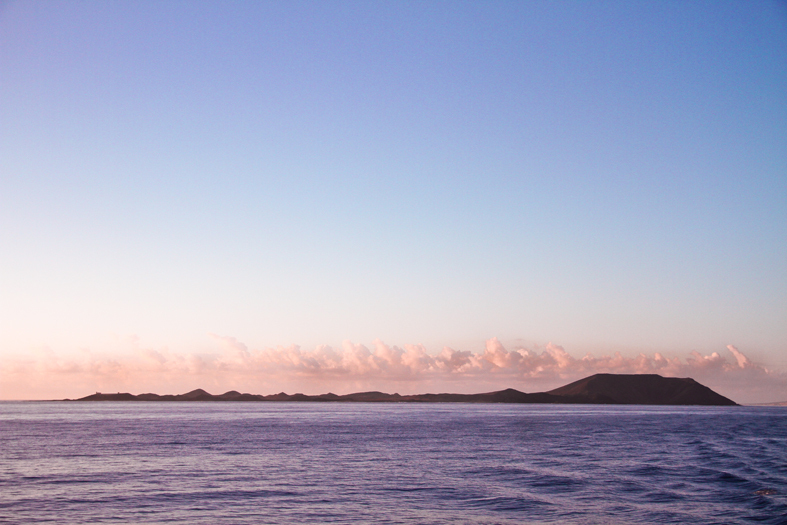 There is a lot to explore around the island: wind mills, impressing sunsets and sunrises, lagoon snorkeling, Stand Up Paddle and many more. Fuerteventura island also offer a huge set of extra activities all year round like snorkeling, diving, boat trips, golf, fishing and much more! The island is well known for being a windy place very popular among windsurfers and kite surfers, but there are plenty good quality waves to be found particularly in the calmer winter months all around the island. These Spanish islands are closer to Africa than Europe, meaning that air temperature never drops below 20Cº and the water temperature generally keeps between 18-25Cº throughout the entire year. 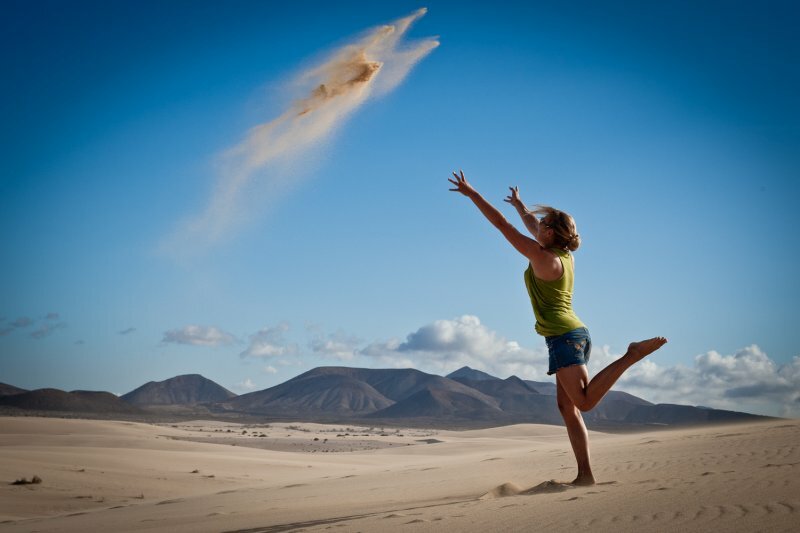 Fuerteventura presents an almost desert landscape and so it offers way more sandy beaches than the other islands. The west coast is the selected spot for beginners with all its beach breaks. On the other hand, the north coast is packed with exposed reefs that pick up all the big swells from W round to E, offering several types of waves ranging in intensity from the challenging tubes of Lobos to the mellow walls of Derecha de los Alemanes. For experienced surfers, winter is no doubt the best season to travel since the wind is lighter and more East. All instructors and surf guides have Canarian Surf Federation certification and have years of teaching experience in many languages including English, Spanish and French. SURFINN © 20-04-2019 05:02:49. ALL RIGHTS RESERVED.